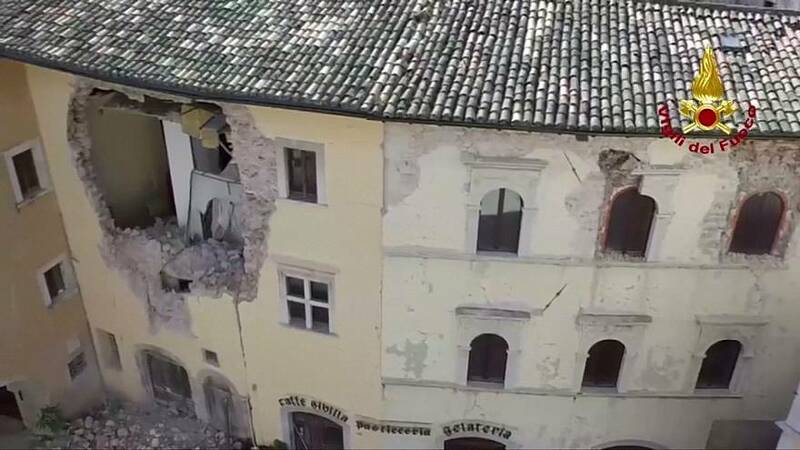 Drone footage shows the intensity of the recent earthquakes in Italy. Firefighters use the aerial footage to assess the extent of the damage in Camerino and Visso, near the epicentre of Wednesday’s tremors. They accompanied many residents to the stricken buildings to collect belongings in areas cordoned off for safety reasons. Visso parish priest, Gilberto Spurio, worries that the frayed nerves will send people packing up and moving on permanently, leaving families divided. It’s difficult, but it’s important to keep the links between family and friends,’ he added. The government has pledged 40 million euros for the reconstruction, saying that the spending on making schools safe should be excluded from EU budget deficit limits.